For some of us, the biggest movie event of the season isn't "Iron Man 2" or "Toy Story 3" or even that Adam Sandler movie where the little kids notice their dads trying to get away with peeing in the swimming pool. 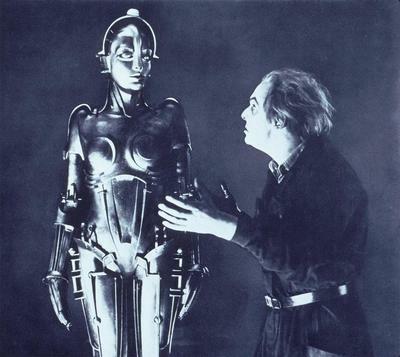 It's the newly restored version of "Metropolis," which adds 30 minutes of footage previously thought to be lost (it was discovered in a Buenos Aires film archive in 2008). 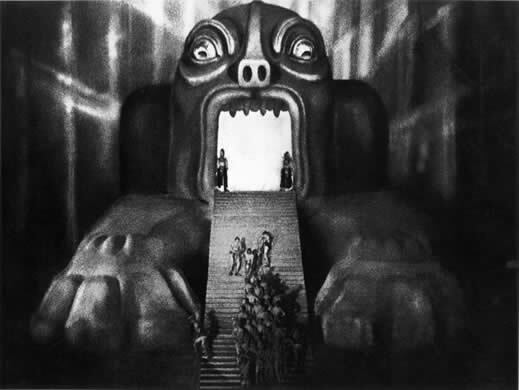 If you've never seen "Metropolis," you really owe it to yourself to do so. And if you've never seen it with the Alloys accompanying it with their magnificent metal machine music (Lou Reed, eat your eardrums out), you really owe it to yourself. Moviegoing experiences like this are few and very far between. Tickets are $20. The Coolidge people report that sales are already brisk. Not a bad way to spend a Friday night, right? The False Maria and her creator, Rotwang.